Real Estate is the biggest passion I have in life when it comes to a career! I have tried many things but when I gave real estate a shot, it just ALL clicked together for me like fried chicken and mashed potatoes! I was born in Texas (Go Dallas!) and grew up in Northern Virginia, Virginia is for Lovers (that's the State's saying, google it sometime). I moved with my family to Lakeland in 1999 and started high school at good Ol' Kathleen Senior! Go Red Devils Go (school mascot)!! After high school I attended Florida Southern College for a few semesters then I hit the road for over 2 years touring with my old band all across America trying to make it as a musician and rock star and become the next life size poster that your sons and daughters would hang on their walls! But after the Good Lord above gave me the sign that is was time to hang that hat up and get back on the track He set for me, I listened and quit the band and joined Corporate America for the next several years. While sitting at work at my jobs, many MANY times I had that itch to want to help people with more than what I was doing at my old jobs. I wanted to make a difference that would last a lifetime and so I knew becoming self employed would be the answer for me! After it was apparent that I was meant to be in real estate, I joined my friend Casey Tray's OUT OF THIS WORLD amazing company here at Live Florida Realty and hit the ground running! My driving force is to help all families that are looking for a good and honest realtor that they could have fun with while getting to work on their DREAM of becoming homeowners for the very first time OR helping them sell their house and buy their new home for the next chapter in their families' lives!! I am happily married to my wife of 7 years and we have a super energetic but magnificent 4 year old son and 3 fur-children, our Pugs: Sonny, Neo, and Bella. I would love to meet with you and your family so you can ask any and all the questions you want so you can see if I am the one for you to help you get into your new home and start setting the footprints of your legacy on this Earth! 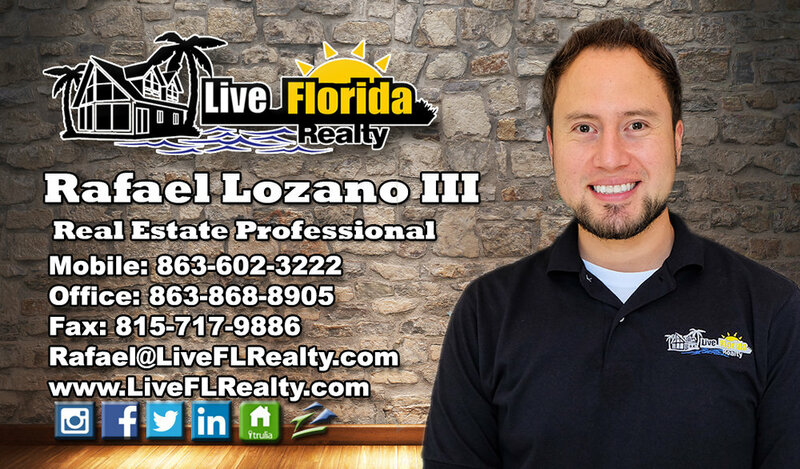 "There is no other way to explain our experience with Rafael and Live Florida Realty than beyond exceptional. As a mortgage lender, I get to experience ... more "
"Rafael was recommended to me by a good friend and now I am the one recommending him. I was looking for a realtor like Raf. Someone who could be ... more "
"I Highly recommend Rafael. He was recommended to me through a friend, he was Open, Honest Upfront on all the costs from day one of me selling my home. ... more "